As a business grows, so does the need for additional support. The question businesses then ask is how to source that support. There is a natural temptation to jump to the obvious solution of hiring another employee, but other options should also be considered, depending on the circumstances and the role. A key advantage of an employee is that they can be collocated with the rest of the business’ team creating additional value through direct interaction with other employees, but this is more important for some roles than for others. There are also risks and costs to hiring an employee. When is the right time? Is there enough work for the new person right now? How much time and effort will there be in finding the best person and training and supervising them and who will do that? A better solution might be to outsource the support until it is clear that the work load will be sufficient to support a fulltime employee. The role is also important. If the role is core to the business, such as an operations supervisor or in product and business development roles, outsourcing is difficult, and even having such essential people on contract can create conflicts. However, in most business, transactional roles exist that are not only easier to outsource, but because they are non-core, may be better performed by other businesses that specialise in such tasks. Such roles are typically administrative, and are common to many business. When outsourcing a role, it’s important that there are a clearly defined workflow processes and well laid out systems and procedures to follow, with clear channels of communication. While this is important for all roles in a business, when the person is not collocated, this is even more important. This may appear an additional burden, but putting in place such systems for administrative roles is relatively straight forward compared with, say a product development role, especially if the organisation to whom you are outsourcing has many such arrangements with others. 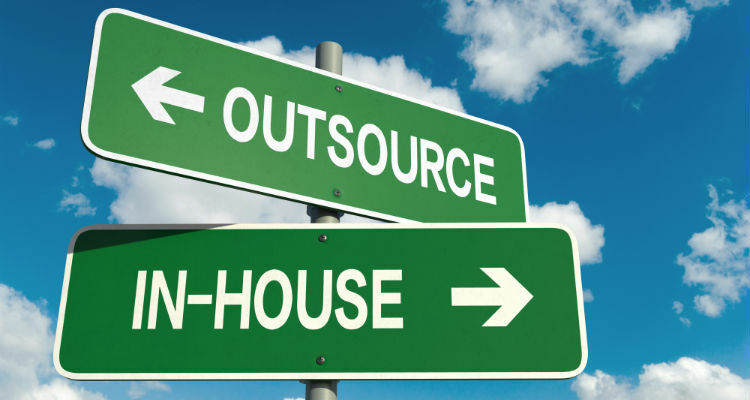 One of the major benefits of outsourcing, particularly if the support is offshore, is that there can be significant cost savings, but this can also introduce additional risk if the support is not properly managed. There are numerous sites offering low cost offshore freelance support, primarily from individuals, but the management of that support, the training, and the setting up the systems will be wholly the responsibility of the outsourcing business. Managed offshore outsourcing is a great compromise solution, from companies such as e-Cruitment which offer all the advantages of outsourcing with the supervision that a business would normally supply internally if the person was an employee. This works particularly well for tasks such as bookkeeping, IT support and data entry. Outsourcing isn’t always the answer, but businesses should always look for opportunities to outsource their non-core support functions to free their time to focus on what really matters in their business. Buying an existing small business : smart or not?